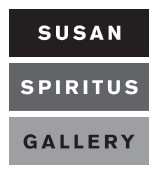 My prints are sold at the following galleries. Please contact one of the following galleries to view or purchase prints. My b&w gelatin-silver prints are hand-crafted prints personally made by myself. Each photograph is individually printed on fiber-based archival paper and toned for permanence to meet archival requirements ensuring a lifetime of viewing. I do not sell my work to the public directly. If you have any inquiries regarding the price, or want additional information, please contact the galleries listed below or send an email to: contact@hiroshiwatanabe.com.